There are many different tablets in the market right now and a lot of them offer some really neat features, but how do you know which tablet works best for your needs? I have tried a few different ones and most recently have had the chance to try what is without a doubt my favorite tablet yet… The Microsoft Surface RT. As of 2013, Microsoft dominates the market for both the PC operating systems and office suite markets (the latter with Microsoft Office). The company also produces an extensive range of other software for desktops and servers, and is active in other areas like internet search (with Bing), as well as the video game industry (with the Xbox One and Xbox 360 consoles). Microsoft is also active in the digital services market (through MSN, now Outlook), and mobile phones (via the Windows Phone OS). In June 2012, Microsoft announced that it would be entering the PC vendor market for the first time, with the launch of the Microsoft Surface tablet computer( infotmation source: Wikipedia) which brings us to this review. The Microsoft Surface RT is compact (10.81 x 6.77 x 0.37 in), light weight (1.5 lbs), and more importantly it is capable to go from fun to work with no effort. This nifty tablet combines the best of both worlds in a user friendly unit that showcases all the products that are important to you right on the homepage so you can stay up to date with what is going on with favorite media sites like Facebook, Twitter, LinkedIn …And all your favorites…I must say that Facebook on the Surface is a completely different experience! The Surface comes preloaded with a series of very useful Microsoft applications to get you started, but you can always visit the App store which has thousands of different apps divided by categories to simplify your searches and that includes spotlight applications, Surface Picks, Games, Social, Entertainment….You name it! To make your visit to the store even easier, they have divided the different apps by Top paid, top free and New releases and that applies to all App categories…Easy and hassle free! The Surface RT lets you bring your complete media collection with you wherever you go….great for people on the go. 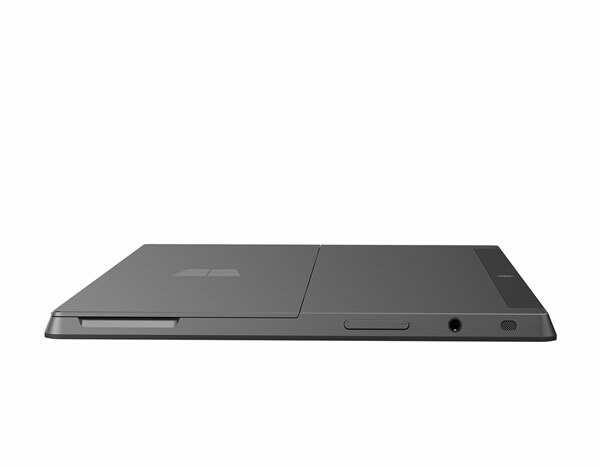 The Surface RT features a microSDXC card slot that allows you add up to 64 GB of extra storage to your unit. It also has an HD video out port for the times when you need to connect your tablet to a TV or computer screen for an extra large viewing experience. The Surface also has one very important feature that competing tablets such as the Ipad don’t offer … that is a Full-size USB port. This one feature is extremely important as it allows you to add additional devices that feature USB connectivity as you desire. Not only that, but if the memory is not sufficient for you and if you have let us say 100’s of movies, all you need to do is plug in your external hard drive to the USB port and you are on your way. Thank You Microsoft for putting this feature on and thinking about the customer instead of the money you can make by offering proprietary items. Of course, Microsoft also includes Bluetooth 4.0 that provides you with clutter-free connections with wireless mice and headsets along with Dual 2×2 MIMO antennas that provides dependable WIFI internet connectivity. The surface is made with VaporMg casing that gives the surface a sleek and attractive look while keeping the construction sturdy and durable…One feature that I really like and is the first time I have seen this design in a tablet is the kick stand that you can use whenever you need or leave in when not need it as it is integrated on the back of the unit as standard. The kick stand is a great asset and allows for even more comfort when watching a movie, or doing a slide show! Microsoft had this feature built into the surface from the ground up during design so it is as function as it is sleek and unobtrusive. Most companies want to sell you something like this as an add-on, but Microsoft had the foresight to have it included in their product. 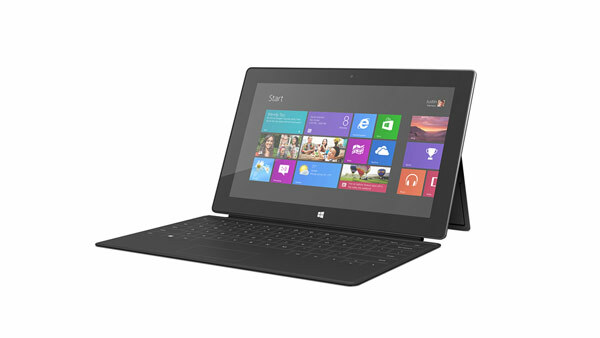 The Surface also has a very innovative Touch Cover that easily and securely clicks in to the Surface in an instant. It offers a fully functional keyboard that has a spill-resistant exterior that makes working on your tablet a lot easier. The smart Touch Cover automatically disables keystrokes for a full touchscreen experience when folded back, when closed, it turns off your display. There are many different shortcuts right on the keyboard that will again make the use of your tablet as smooth and easy as possible. The Touch cover also helps you to protect your screen when not in use and…it comes in different colors to allow you to give your Surface a personal touch….Check out their limited edition Touch Covers! The surface RT also has two cameras one in the front and in the back, (this feature is on top of my list of favorites), the life cam rear camera is actually angled to shoot straight ahead when the Kickstand is flipped out…This is extremely helpful if you want to record a video or presentation and are all by yourself, and I am actually planning on using it to do some Vlogs that I am sure will be a lot easier with the help of the Surface. ( stay tuned for those). 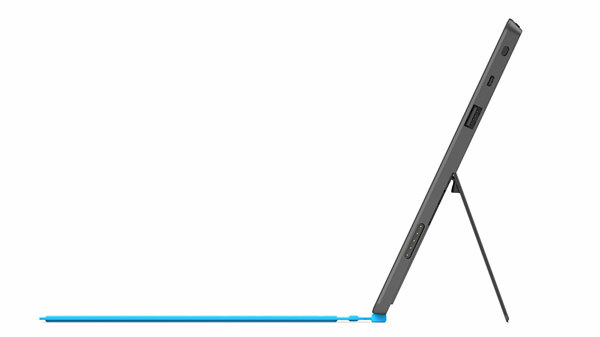 The Kickstand also allows hands-free Skype video chat or recording. With a custom lens design and an ambient light sensor on the Surface, it is made to maximize light intake for a better focus. The Surface RT also has the capability to have different users…This is a big one for parents as you can have better control of whet your kids have access to…more things to love? On the right bottom of the screen you will see a small icon representing a keyboard and that you can use instead of the Soft Touch Cover for a full touch screen experience…I personally love being able to switch back and forth between the two formats. I don’t know about you, but a real key board makes typing documents a lot easier for me and the Soft Touch Cover provides me with just that. In addition, the Surface RT comes preloaded with Word, Excel, Power Point and One Note! The Surface is available in two different formats or designs the Surface RT and the Surface Pro…There are many features that are similar on both designs, so the best way to explain the differences between the two and keep it simple, is that the RT is a tablet with computer capabilities while the Surface Pro is a computer with a tablet capability and there are functions that are limited on the RT while available on the PRO. One big difference is that the PRO has an Intel i5 processor that will allow this machine to perform tasks that the tablet cannot. How do you know which surface is best for you? Let me try to simplify it…the Surface RT is a great family, entertainment tablet, and a great tool for students as they can easily surf the internet and create office environment documents and presentations. It is also a good ally for people that are constantly traveling and need a way to stay connected and in communication via email and the like to be updated with the different social sites while keeping it simple and light weight. The PRO is meant for more complicated tasks and remember, it is a computer with a full Intel processor…While the PRO allows you to download programs as a regular computer will do, the Surface only allows you to download apps from the Windows store. One other thing that the PRO has is a pen digitizer and the pen come with your device so you can take notes as if you were doing it with a real pen…which is an advantage for designers and people that are into digital designs. Another big difference is the price tag as the Surface RT starts from 499.00 and the Surface PRO has a starting price of 899.00. Both have the option to buy the tablet only or add the Soft Touch cover (I personally love the Soft Touch Cover and I love the fact that it comes in different colors. There are different accessories available for both machines including Surface HD Digital AV Adapter which lets you connect your device to any HDMI-compatible display (HDTV, monitor, or projector) and stream movies, play video games, and watch slideshows in high definition…. Please be aware there are specific ones for the different machines. Another great accessory that comes in very handy is the Surface VGA Adapter which allows you to share photos, video, and presentations…making this great for both work and home…Again allowing you to personalize your Surface tablet. 32 GB, 64 GB, System software uses significant storage space. Available storage is subject to change based on system software updates and apps usage. 1 GB = 1 billion bytes. See Surface.com/storage for more details. Mail, Messaging, Word, Power Point, Excel, OneNote, SkyDrive, Internet Explorer 10, Bing, Music, Video, Games, and more. Microsoft has kindly offered one lucky Born 2 Impress reader, the chance to win a free Microsoft 64GB Surface RT with black Touch Cover! Contest open to US and Canada residents with a valid street address. No PO Boxes please. Winner(s) are selected randomly through the use Giveaway Tools unless otherwise noted and will be announce on the contest closing date. To claim your prize(s), you must contact Born 2 Impress within 48 hours of the contest closing Prize(s) not claimed by (48 hours) will be forfeited and a new winner will be selected. I’m loving the XBox One – the more I read about it, the more I’d love to have it! I like the Nokia Lumia phone. I would love a surface tablet! I’d really like Office 365 for my business. I really like the Lenovo ThinkPad X1 Carbon Touch Ultrabook. The Lenovo IdeaPad U510 Laptop. My husband would really love the XBox One! This is my favorite! I have been seeing it everywhere! Oh, that XBox One has really caught my eye! I’d love the X Box One – as a gift for my nephew! The XBox One looks like it would be fin for the whole family! I like the Acer Iconia W700-6499 Tablet. The Lenovo IdeaPad U510 laptop is my dream machine. I love the Sony VAIO Pro 13 Touchscreen Ultrabook (SVP13213CYB)! I would love love love a Surface pro!! still wanting the Surface RT! I’d love the Surface RT! I like the Xbox One. I want to try the XBox one! I love the Xbox One!! The surface pro is at the top of my list but the Lenovo IdeaPad is rightup there! I LOVE big screens… face it, who wants to watch things on a tiny screen? For every day use- I want big . I would choose the acer aspire laptop with the 15.6 inch screen!!! that V5-one! The Lenovo IdeaPad U510 is my favorite. I like the MAINGEAR Potenza Super Stock Gaming PC. Absolutely love the Surface RT! Definitely my favorite!! I’ve always used Microsoft powered products, but never had the opportunity of owning and using any tablet, especially the awesome Surface! I like the Surface Pro! Windows Surface Pro, for sure! I would really LOVE to win this but I also really like the xbox one, I would give it to my husband. The XBox to give to my kid. I would really really like to own a Surface Pro! I still want the Surface! I really want Windows 8! The Xbox One is definitely my favorite on that site. I’ll probably get it sometime after I get the PS4. I really am interested in the Xbox One, I might treat myself one day! I really like the Acer Iconia W3-810-1416 Tablet. I’m really a fan of Microsoft’s Office 365 software — I just started using it and I love it! I would like the Xbox for my family! My folks would love the Xbox One! The Xbox One for sure!! Oh how I would love to own a laptop that holds a charge. The Surface Pro… yes, please! I like the xbox 3660. I’m totally going with the Xbox One! I still think that the X-Box is awesome – we saw one in the Microsoft Store the other day. Everything looks so great! But I’d really like to try the XBox One. I like the Acer Aspire S7-391-9492 Touchscreen Ultrabook. The Microsoft Surface RT is awesome and it is one of my favorite! Love the Microsoft Surface RT! Definitely my favorite! The Lenovo IdeaPad U510 would anchor my phone and tablet. The ASUS VivoBook S400CA-UH51T Touchscreen Ultrabook! The Xbox One is my favourite. I really want Windows 8 – just saw it at the Microsoft Store. I really do have my eye on that Xbox One! I really like the Xbox One!! After using Microsoft Office 365 at home and at work for a few weeks, it’s definitely become my favorite product! I would love a surface tablet like this one. I love the Acer Aspire S7-391-9492 Touchscreen Ultrabook. I can’t say that I have a favorite, but I would certainly love to own a windows phone! The Lenovo IdeaPad U510 is my 1st choice. I still want the Surface Pro but my daughter would love an XBoX One. The Lenovo IdeaPad Yoga 13 Convertible Ultrabook (Intel Core i7) would be my choicw it is gorgeous! I like Windows 8 Pro! Definitely the new Xbox One! Microsoft Office 365 has won me over – I love being able to share and access documents from any computer on my network! I like the Nokia Lumia 928 in White. I love that XBox One. I have to get one, I’m saving my $$$. I like the Surface RT- It’s small enough, lightweight and affordable!! So many great choices. I’d opt for the Lenovo IdeaPad U510. I like the Nokia Lumina 928! My fave is the Microsoft Surface RT! Office 365 is my fave. The Surface Pro is my pick but my daughter would love an Xbox one! I love the Xbox 360 because it plays all my favorite games and movies. I really would like an Xbox One. It looks like so much fin for the family, all ages! I have to say I like this model but I love the Surface Pro – my hubby is coveting it. I would also love the XBox One! I like the surface pro and I like the Nokia Lumia 928 for Verizon. decisions. decisions. I’ll go with the pro! I’d love to own the Lenovo IdeaPad U510. 7/15 My current favorite Microsoft product is Office 365 – love the new design and the versatility of the suite! I like the Xbox for my family! They would love it! Still wanting the Microsoft Surface RT the most! My fave! I would love to get the Surface Pro for my son. I really like the ASUS Taichi 21-UH71 Touchscreen Ultrabook. My laptop is a hand-me-down. I’m grateful for it – it was given to me by someone who wants me to write my book but it doesn’t hold a charge. How could would it be to get a Surface Pro? I like the surface Pro. My son likes the Xbox one. Again, the Xbox One is my favorite! The Microsoft Surface RT is my fave!! I love the Surface Pro. It would be so beneficial to me, as both a student in a master’s program and as a teacher in the elementary classroom. My first choice would be the Lenovo IdeaPad U510. I love the XBox One. I’m tired of working, I want to play! I like the Nokia Lumia phone a lot! 7/16 Microsoft Office 365 has totally converted me – it makes editing and sharing documents really easy, and I love the newly designed MS Word and PowerPoint. I like the Samsung Series 7 DP700A3D-A01US Touchscreen All-in-One. I would love to eventually have the Office 365! The xbox one would be the favorite in this house. Oooh I want the Surface RT! The xbox one looks awesome too. I wish to own an Xbox One. 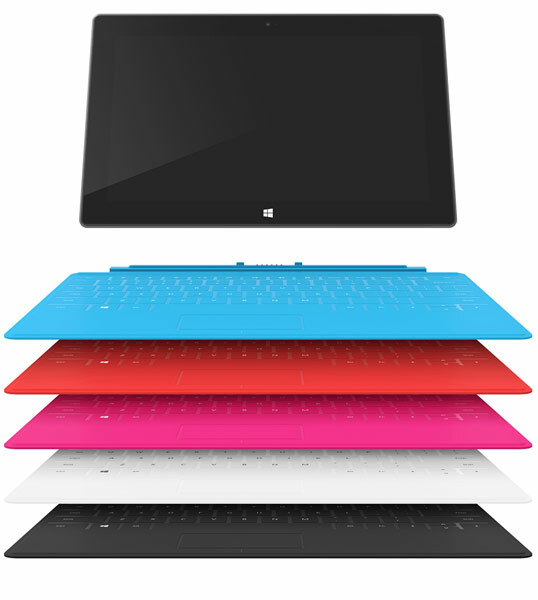 I would love a Surface tablet – maybe I will win one… hee hee. I would love to get the Xbox One for my son. I still like the Xbox a lot! I am really eyeing that XBox One with lust in my heart…not too much money in my wallet, though! Surface tablet rt is what I want. I just might break down a get one for Christmas. My family would really like the XBox One – we’ve never had a gaming system! My favorite product is the Nokia Lumia 928. Ah – I would love a new xbox one! I’ve got my eye on that Xbox One! I like the Nokia 928 windows Phone. I’d pick the Lenovo IdeaPad U510. I drool over the Surface RT! The Acer Aspire A7600U-UR308 Touchscreen All-in-One would be great to own!! I really like the Surface Pro! I still say the Microsoft Surface RT, the one you are giving away!! LOVE IT!! LOVE IT!! I am a fan of the Microsoft Surface RT, which is why I visited this page. nokia lumia 920….great new windows phone. I like the surface rt best – that’s why I want to win it! The surface rt is my favorite! I just know that the XBox One and I are meant for each other! I think the new 41 MP Nokia Lumia 1020 is the coolest thing… 41 megapixels in a phone?!! 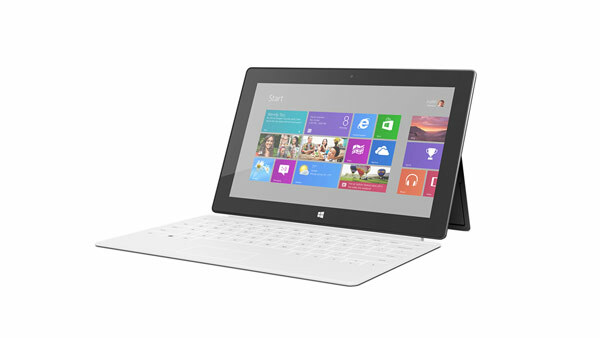 I also think the Surface Tablet is awesome and would love to own one. The Surface Pro is my favorite! I’ve been using Microsoft Office 365 up a storm, and I’m really loving its functionality and new interface. Well done, MS! I like the Toshiba Satellite U925t-S2130 Convertible Ultrabook. My fave is definitely the Microsoft Surface RT!! The Lenovo IdeaPad U510 is the one. I like the Nokia Lumia 1020, even though I love android so much. Its a cute color and a practical phone. I would love to have this. I am working on writing a book, and that would be perfect to have for doing it. I’d love the XBOX One. It looks so cool. I like the Xbox 360 for my family! Kids love the xbox 360. All giddy about the Surface RT. Toshiba Satellite U845t-S4168 Touchscreen Ultrabook is great! I’m drooling over the Surface!!!! Sony VAIO Duo 11 Touchscreen Ultrabook (SVD11225CYB) is really the one i want!!! I’m looking forward to the Surface RT2 coming out next year. My husband is also buying the Nokia Lumia 1020 when it’s released next as he loves Windows Phone. I like the Nokia Lumia 1020. I really need a smartphone. my favorite is probably the Office software. I use Microsoft Word all the time! I know that the XBox One and I have a beautiful future together! Too Easy! I would love an X-Box! Surface Pro is my fav! My favourite is the Nokia Lumia 928. 7/20 I love MS Office 365! My husband really would like the Surface Pro! I like the Nokia Lumia 928 Windows phone. I like the Surface Pro because it is a great product! Isn’t the Surface RT wonderful!?! That’s what I want! I like the Surface Pro 128 GB. It is the Surface Tablet for sure. It actually looks pretty cool. Sculpt Comfort Mouse is great! Lenovo’s IdeaPad U510 is the one. I use Windows (various releases), Office, etc. but SkyDrive is the handiest idea. I also like the “Dell Inspiron One 23 All-in-One 2330-5910BK”. The surface tablet would be great to hhave . OMG the xbox one looks great, cant wait to try it out!! I still want the Microsoft Surface Pro though!!! The XBOX 360 – it can do so much! Video games, exercises and dance, even streaming. Very versatile! The Nokia Lumia 928 is my favorite. I like the Samsung ATIV Tab 7. I really like the XBox One. I would like a Surface for me and an Xbox for my son. I would so love to try the XBox One – I’ve never played “video games” at home before! I love the XBox One. Some day I will own it. Really! I like the ASUS Taichi 21-UH71 Touchscreen Ultrabook. The surface RT sounds good to me. It would be a great help to my new job! I really like the Xbox 360! It is really a great product! Surface for me and Xbox one for the kids! The Lenovo IdeaPad Yoga 13 Convertible Ultrabook looks awesome! So many great products. An XBox 1 for my daughter and a Surface Pro for me, please. I would love to win a Mircosoft Surface RT! the surface pro is amazing! Love the surface and the nokia lumia phone! Still lovin’ that Xbox one! I like the Lenovo ThinkPad X1 Carbon Touch Ultrabook. Our family would get a lot of use out of the xbox one. I like the Lenovo IdeaCentre A720-10096 Touchscreen All-in-One. I really like the Surface Pro because it is easy to use! I’d just love to have the Surface RT. It looks great! Nokia Lumia 928 is my new favorite phone. I can’t wait for more apps to be on the market. Beats Apple for sure! I like the Samsung ATIV Tab 5. Lenovo IdeaPad U510 is it. The Xbox One is my favorite! I think the surface pro looks the coolest, but you can’t beat something that allows you to see family clear across the country. Skype wins. The Surface Pro is perfect. Part tablet, Part laptop. Exactly what this busy mom needs! I Would Have To Go With The Surface RT. I have definite plans for getting an XBox One! The Surface RT is what I want! My favorite is the Xbox One, the all-in-one entertainment system. Favorite product would be a Windows phone, the 8X by HTC. It would be great to get the Microsoft surface. I could use for schooling and free time without having to go to my school’s commons to work on homework. Of them all, Lenovo IdeaPad U510. I like the Samsung ATIV Odyssey Windows Phone. My fave is still Microsoft Surface RT! The Xbox One is still my favorite! 7/23 My current favorite MS product is Office 365, which I use all the time at home and at work. My family likes the XBOX 360! My favorite product is Xbox with Kinnect. My favorite Microsoft product is the Huawei W1 phone. My favorite product is the Lenovo IdeaPad Yoga 13 Convertible Ultrabook. We would go crazy for the Xbox One we don’t currently have a gaming system! My favorite is the Microsoft Surface RT!! I like the Lenovo IdeaPad Yoga 13 Convertible Ultrabook. My daughter really wants an Xbox One but I need a new laptop… or better yet, a Surface Pro!! I would love to have the Sony-VAIO-Duo-11-Touchscreen-Ultrabook. YES!!! I visit again – still want the Surface RT! i really love the surface RT! I love the Xbox One! I must get it! Honestly the Surface RT is what I am most desperate for, they look awesome! I like the Nokia Lumia phone! I think the Surface RT is actually my favorite! I really like the new surface tablet! My life would be ultra enhanced with the Surface RT!!!! The Surface RT. LOVE THE BATTERY LIFE ! I like the Lenovo IdeaPad Yoga 13 Convertible Ultrabook. Very Nice!! I like the Acer Aspire S7-391-6413 Touchscreen Ultrabook. It has speed, storage and durability going for it. Love Microsoft Surface RT! Definitely favorite!! 7/24 I love the Microsoft Office 365 suite, especially the newly designed Word and PowerPoint, which make my life easier on a daily basis. I like the Microsoft Surface RT! The Lenovo IdeaPad U510 would be ideal for me. That Music Maker Jam app looked cool. I like the surfce tablet. I have been looking at the Windows Lumia phone since my nephew showed me his. I’d love to have the new Xbox One! I also like the Surface Pro. I am most intrigued by the XBOX One. hmm. an xbox one would be super awesome. My mom would like the Windows phone, she’s been eyeing one to replace her old BlackBerry. I like the Nokia Lumia 1020 in Yellow. When I type my name now it reads Lenovo IdeaPad U510. The xbox 1 is my favorite! I like the Nokia phone! I would love the Xbox One! It would make a great gift for my son. ..I would love a surface tablet – or an xbox one. I still love that XBox One! Some day it will be MINE! The Surface Pro would be a dream! I want the new Xbox One Day One Edition! I really like the Acer Aspire A7600U-UR308 Touchscreen All-in-One. Super nice. I love the Surface RT!!!!!! The Microsoft Surface RT is most definitely my favorite!! 7/26 My absolutely favorite Microsoft Product is Office 365, especially Word 2013, which I couldn’t live without! I like the Acer Aspire S7-391-9492 Touchscreen Ultrabook (Intel Core i7). Thanks for the chance. Sony VAIO Duo 11 Touchscreen Ultrabook would be GREAT!!! i like the surface pro, but all of them are really great and i would love to have any of them. i love this one!!! A Resolution Sleep Positioning System…….i have a snoring husband! The Nokia Lumia phone and Surface RT would be my choices.! The new Xbox One looks awesome! SO hard to choose, but Lenovo ThinkPad X1 Carbon Touch Ultrabook stands out. The Sony VAIO T Series 13 Touchscreen Ultrabook would be great for my daughter. The “Office 365 University” software is my favorite. I want a Surface RT. I would love to have the Surface RT !!! Lenovo IdeaPad U510 is the one. I am having a terrible day. I just want the surface pro. I hope this friggin’ thing takes my response this time. I want the Xbox One or The Surface Pro. Or maybe one of the ultrabooks! Ahh! So many things I’d love to have! I love the surface – perfect for travel and work! I still would like MS Office 360! I would love to own the Lenovo IdeaPad U510 Laptop!!! I do have lust in my heart for that XBox One. There…I’ve admitted it! i would love an xbox one..
Another favorite Microsoft product is the Xbox Kinect — love the new possibilities it has opened up for gaming and physical activity! I want a surface so bad!! I like the nokia lumia 1020 phone. One of my favorite products is the Dell XPS 18. The Lenovo IdeaPad U510 would be perfect. The Fitbit Flex Wireless Activity and Sleep Wristband is very cool-I didn’t even know they made fitness products! Xbox 360 for my family! The surface rt or the nokia lumia!!!! The Microsoft Surface RT is my favorite! I like the Surface Pro. It would be nice. It is the latest. MICROSOFT Surface RT FANTASTIC !!! I would love Lenovo IdeaPad Yoga 13 Convertible Ultrabook. My kids tell me this is something we could all share. Thanks for the chance! This looks like a great product. I would love the Surface RT! I like the Lenovo IdeaPad U510 Laptop. My favorite is the Surface Pro. I love the Xbox One. Really! I would still like Windows 8 – on any windows machine! 7/28 Microsoft Word and the Office 365 suite are still my favorite Microsoft products, and now Outlook is catching up since I recently converted to this email program at work and am loving its functionality. My son would love the RAZR Naga 2012 gaming mouse. I want the Lenovo IdeaPad U510. I would like Office 365 for my computer. I like the Nokia Lumina Phone! I want the Surface so bad!! the surface is my fave!! The Surface would be my choice, but I would also like the HP ENVY 20 TouchSmart. I can’t decide whether I like the idea pad or the yoga pad best. I would really love a surface tablet. What’s not to like about the Lenovo IdeaPad Yoga 13 Convertible Ultrabook — Intel Core i7 ? I love the Surface RT and the Surface Pro! I like Lenovo ThinkPad X1 Carbon Touch Ultrabook. I would love ot have the XBox One – saw it in the Microsoft store and it is so neat! I can tell that the XBox One and I were made for each other! If I had an Xbox with kinect I like the Zumba fitness core and Harry Potter games! Would love to win the Surface RT !!! I like the Office Home & Student 2013. … I know my kids would love the new XBOX ONE. I like the Surface RT! My favorite item is definitely the Microsoft Surface RT!! The Lenovo IdeaPad U510 is my choice. I like the Microsoft Surface Pro as well. 7/29 Having just demoed the Surface RT over the weekend, I can definitely say it’s become one of my favorite Microsoft products – love its versatility and portability! The Xbox one, cannot wait for a new toy!